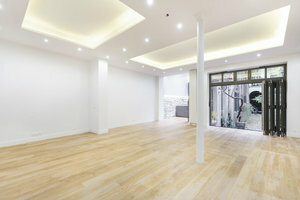 This showroom is located on one of Le Marais' most popular streets and is ideal for Fashion Showrooms, Product Launches and high-end Private Sales. 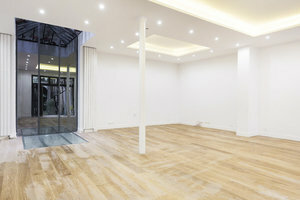 The space has immaculate interiors with sublime white walls, wooden floors, spotlights and columns throughout the space. This place has two possible configurations. Large windows onto a garden area accentuate the bright atmosphere and also give the space a contemporary edge. or a 175 sq m with a loft available in addition with renting rooms (ground floor with 3 rooms furnished downstairs). 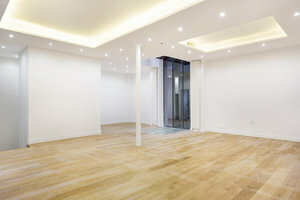 This brilliant space is advantageously located in an highly in-demand area and is an impressive location for brands and designers to host sophisticated showroom events.